At Chronic Conditions Center, we use your specific lab panel results to customize your treatments to your specific body and test results. We can assess your thyroid, adrenal, blood and GI Function. All can be affected with chronic health conditions. By addressing any problems with your thyroid adrenal glands, blood chemistry, or GI Function, we can help you to heal faster. The CMP allows us to check your blood glucose levels since glucose and oxygen are needed by the brain to function properly. The only way to find out if you are suffering from any of these sensitivities is to run the test! We can further test your adrenal glands with a test called an Adrenal Stress Index. Your adrenal glands are your “stress” organs meaning that they react to stress. If you have been or are currently under stress, this test is a must! When your body’s cortisol levels are abnormal, you will suffer from insomnia. Cortisol levels can be corrected via specific nutritional protocols thereby relieving your insomnia. We may test to see if you have an autoimmune disease. An autoimmune disease is where your immune system attacks a particular area of the body (nervous system, joints, connective tissue, thyroid, etc.) so we test for specific antibodies to determine if you suffer from an autoimmune condition. For Example, many chronic pain/chronic fatigue patients that I have treated have tested positive for thyroid antibodies and they were actually misdiagnosed. If your thyroid tissue antibodies (TPO and TBG) are high, you are suffering from Hashimoto’s disease. 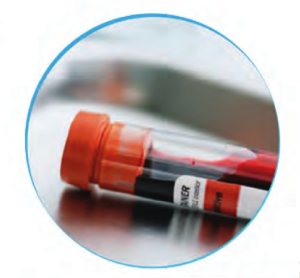 The only way to find out is to test for thyroid tissue antibodies via blood work. Your immune system could be attacking your nervous system which could cause pain and numbness. The only way to know is to run the test. The immune panels give me an in-depth picture as to what is exactly happening with your immune system. If you are suffering from an auto-immune disorder, it becomes priority number one and it must be the first thing addressed. H. Pylori: We can run a test for H. Pylori bacteria to determine any problems related to the GI function. Used to determine if the patient suffers from leaky gut syndrome (LGS). LGS or Leaky Gut Syndrome describes a condition of altered or damaged bowel lining (caused by antibiotics, toxins, poor diet, parasites or infection), which can lead to increased permeability of the gut wall to toxins, microbes, undigested food, waste or larger than normal macromolecules. It has been proposed that these substances affect the body directly, while others postulate an immune reaction to these substances. Finally, we may need to test for inflammation in your system by testing homocysteine levels C-Reactive Protein (C-RP). Many patients suffering from chronic health conditions suffer from inflammatory processes. Just about every fibromyalgia patient that I have evaluated suffers from some form of chronic inflammatory process. We use Glutathione in our treatment of ALL chronic conditions. Glutathione is the “mother-load” of anti-oxidants. Glutathione cannot be taken orally in pill form as the body will not absorb it. We have seen miraculous changes in our patient population as a result of our specific glutathione protocols. Glutathione is especially helpful with autoimmune disease. At Chronic Conditions Center, we believe that testing is the key to helping our patients find customized care plans that put them on the path to a healthier life. Please fill out the form below and let’s schedule your first appointment today!